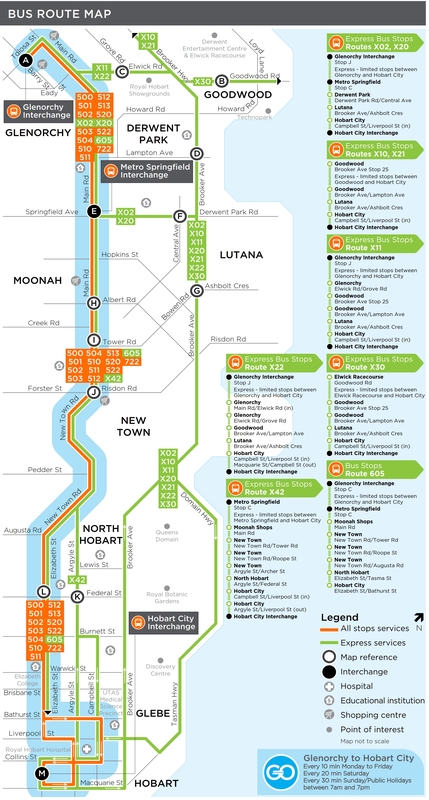 This timetable shows only the portion of these express routes between Hobart and Glenorchy. Service travels via St Marys College on school days only. During school vacation, service departs Hobart City at 3:29pm.